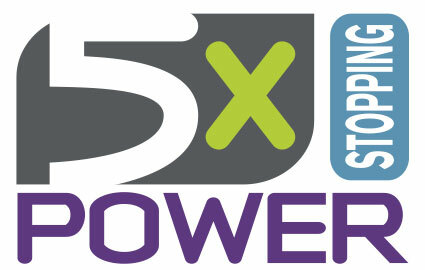 Showcase your next blockbuster promotion in a big way with large format lenticular! 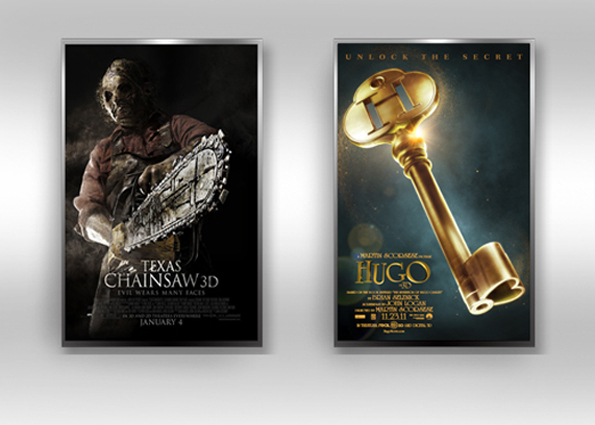 Virtual Images offers incredibly deep 3D and dramatic motion effects for lenticular posters for theatrical and custom displays. Whether it’s a lenticular bus shelter or theatrical poster, large format lenticular printing is a surefire way to get noticed. It takes your design to the next level by not only catching people’s attention but also bringing them to a halt to take a second look. Once you realize the power of lenticular printing, you won’t want anything else. At Virtual Images, we challenge ourselves to accommodate any request – even small orders. We produce high quality pieces with an emphasis on vibrant colors, deep three-dimensional imaging and customer assurance. 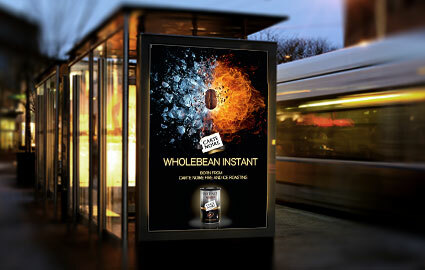 CHALLENGE: The customer wanted to advertise their unique process for roasting coffee, using fire-roasting and flash-freezing, and illustrate the incredibly flavorful result with large format lenticular.